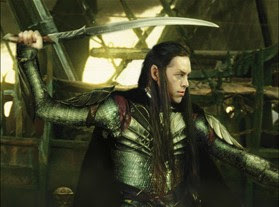 Elladan (b. TA 139) and Elrohir (b. TA 139) were the identical twin sons of Elrond and Celebrían. 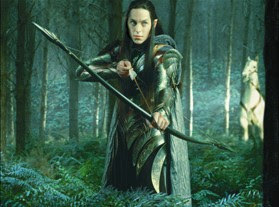 They were Halfelven, like their father; while Elrond remained in Middle-earth, they had the life of the Eldar. In TA 2509, while their mother was crossing the passes of the Misty Mountains, she and her company were ambushed by orcs; and though her sons were able to rescue her, the memory of her days in captivity tormented her greatly, and she soon departed from Middle-earth. During the War of the Ring, the two brothers fought alongside Aragorn at the Battle of the Pelennor Fields. 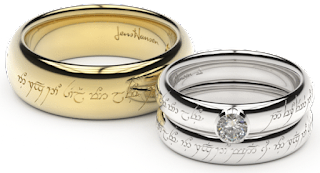 Following the passing of the Three Rings, they chose to remain in Middle-earth with the Dúnedain of Arnor, thus becoming mortals like their sister, Arwen, who had chosen the same fate. Idk why they left this out of the movie, sounds awesome imo.